HSBC has been connecting customers to global opportunities for more than 150 years. 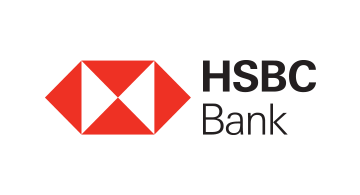 Today HSBC is one of the world’s largest banking and financial services organizations and serves more than 38 million customers through four global businesses: Retail Banking and Wealth Management, Commercial Banking, Global Banking and Markets, and Global Private Banking. HSBC’s network covers 66 countries and territories in Europe, Asia, the Middle East and Africa, North America and Latin America. The company aims to be where the growth is, connecting customers to opportunities, enabling businesses to thrive and economies to prosper, and ultimately helping people to fulfil their hopes and realize their ambitions. HSBC is committed to building long-term relationships with our customers, offers a range of services, including personal banking, mortgages, loans, credit cards, savings and investments and insurance and operates offices and branches in cities across the United States including California; Connecticut; Delaware; Washington, D.C.; Florida; Maryland; New Jersey; New York; Pennsylvania; Virginia; and Washington.